What is reserved seating software? This clever piece of technology enables your customers to select exactly where they want to be seated when purchasing tickets to your events on your website. The seat position can sometimes change the price of the tickets, so this is something you should consider before hosting an event. 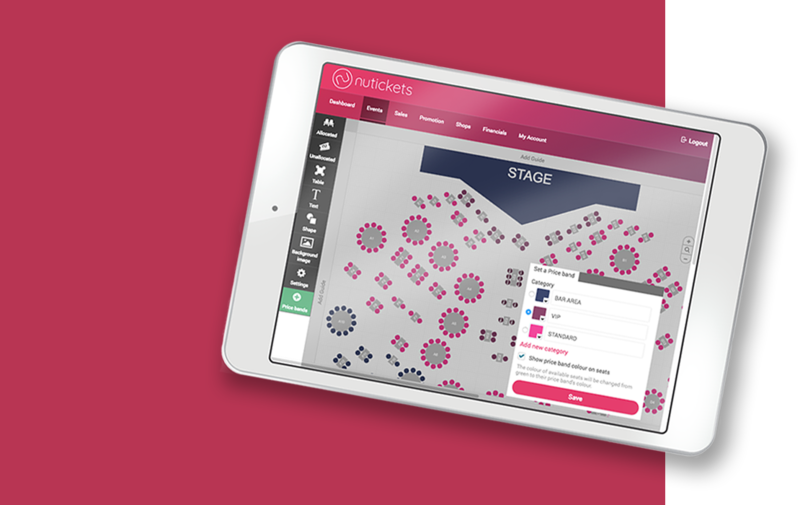 You'll be able to add price bands to your digital seating chart, showcasing the best seats at your venue. In addition, your venue's layout can be easily viewed on a desktop, tablet and mobile, allowing customers to choose their seats on-the-go. How will this solution enhance the booking process? Before using the software, our clients handled all of their ticketing and seat allocation manually, which can become a challenge, particularly at large scale events. Our clients chose the Nutickets reserved seating feature to take their process completely digital. The software lets you recreate your unique venue with the use of seats and rows, and easily block out areas. Organising a large event? Our support team is on hand to help you design your unique venue. By creating a bespoke reserved seating plan, you are instantly streamlining your event experience, as you have eliminated the need to physically guide audience members to their seats, saving a lot of time for both event staff and attendees. Using the Nuticket software can also help from a marketing perspective, by displaying real-time seat sales. Potential ticket buyers can see the tickets disappear quickly in front of their eyes, creating a buzz and encouraging them to take action. What's more, our built-in product shop enables you to upsell products and services with your tickets to maximise revenues. 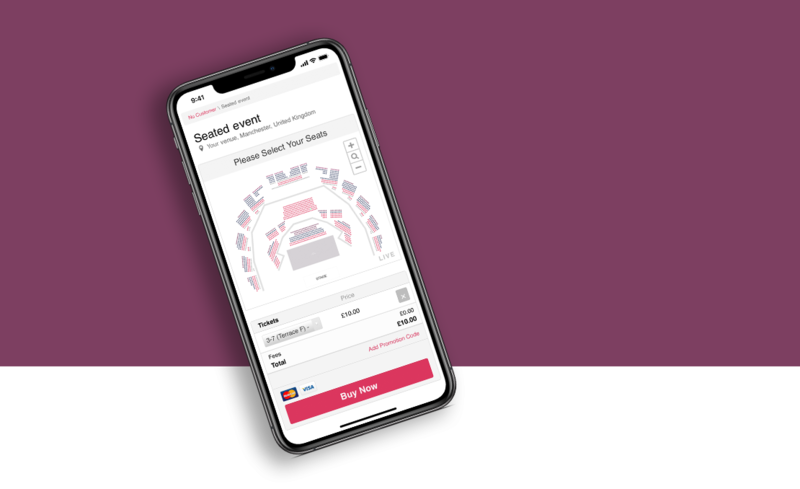 By adding the Nutickets reserved seating software to your ticket shop, you can transform your customer experience when purchasing tickets, and make the event process easier for yourself. Sounds good? Book your demo today!